Hello everyone and welcome to My Journey Through New Japan’s Golden Age! 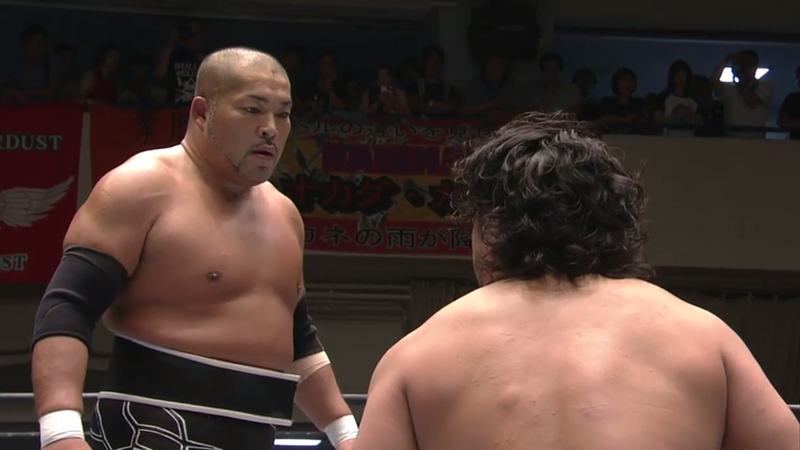 I have split this series up among the multiple stars of New Japan, meaning that I can watch a lot of diverse matches and review multiple storylines at once. Other than that, let’s get onto the review! Hell0 everyone! Welcome to the 11th Random Match Roundup and the first RMR of 2016. This is the segment where I review 5 random matches from anytime, anywhere, whether they be good, bad, or otherwise. Without further ado, lets get this underway! Hello everyone and welcome to the NJPW Wrestle Kingdom 10 review! The hype for this show has been huge and, with there apparently being a recent raid by the WWE, NJPW is in the news. This show is going to be huge, without a doubt, and is the closest any company can get to a Wrestlemania feel. I am beyond excited for this show and cannot wait for it to begin. Lets get the review underway!